Did you know that FORD is an acronym? Fix or repair daily. Old, yet makes a statement! What an interesting picture. It reminds me of the old cars and trucks in my grandpa's yard when I was a kid. What an interesting old truck. I don't see very many like that. I know that is not a Chevy, but those words popped into my head immediately when I saw this! Love it. Fabulous photo - I hope you're framing it. LOVE, LOVE, LOVE this photo! It speaks to my heart, and when you read "Looking for Me" you'll know why. 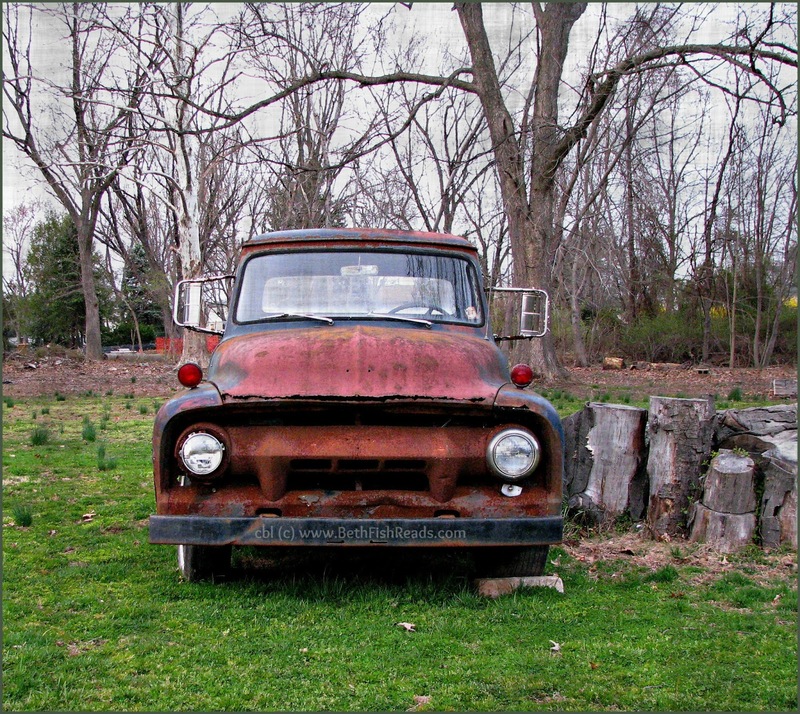 Something about an old vehicle that seems to be looking right at me ... like it jumped out of a Stephen King novel. This one looks like it ran a short time ago. Headlights are intact, side mirror are still attached. My husband would be in "lust". I LOVE seeing stuff like this and always wish that I had a camera to take a shot (or a place to pull over). I especially love the red on this truck! And since a few folks have mentioned lyrics, I can't help but think of Jack Ingram's Beat Up Ford. If ever in the mood for Texas Country, it's a fantastic song. Ha! The first thing I thought was "Mater!" I'm with Jenners! I was like, MATERS! !